the prairies, or the Great Plains grasslands of North America. This edition has been updated to include new information about declining bird species, enhanced protection of bison, the effect of industrialization on the prairies, and the effect of the increase in coyote numbers on red foxes and swift foxes, among other topics. The book also includes an entirely new preface.Extending from Alberta south to the Mississippi River, the prairies are among the largest ecosystems in North America. Until recently, they were also one of the richest and most magnificent natural grasslands in the world. Today, however, they are among the most altered environments on Earth. Nevertheless, Candace calls the prairies a landscape of hope-a place that has experienced the onslaught of modernization yet still inspires us with its splendor.Throughout the book, spectacular full-color photographs and elegant black-and-white line drawings illustrate the beauty and diversity of the North American heartland. 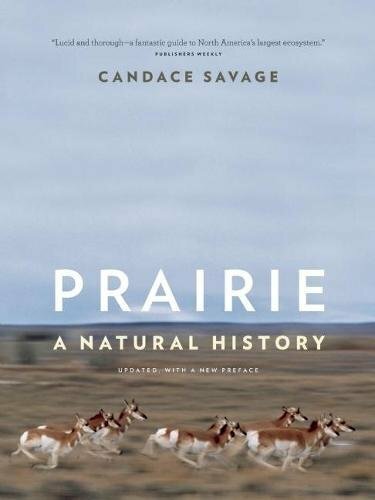 Both an authoritative reference and an easy-to-read guide, Prairie: A Natural History is a must for anyone who wants to know more about the dazzling natural variety of the prairies.